With the appearance of the sun this morning, Penny sent a text to Carol saying that we would be in the garden this morning if she wanted to join us. Carol replied that she only had one little one and would love to join us. 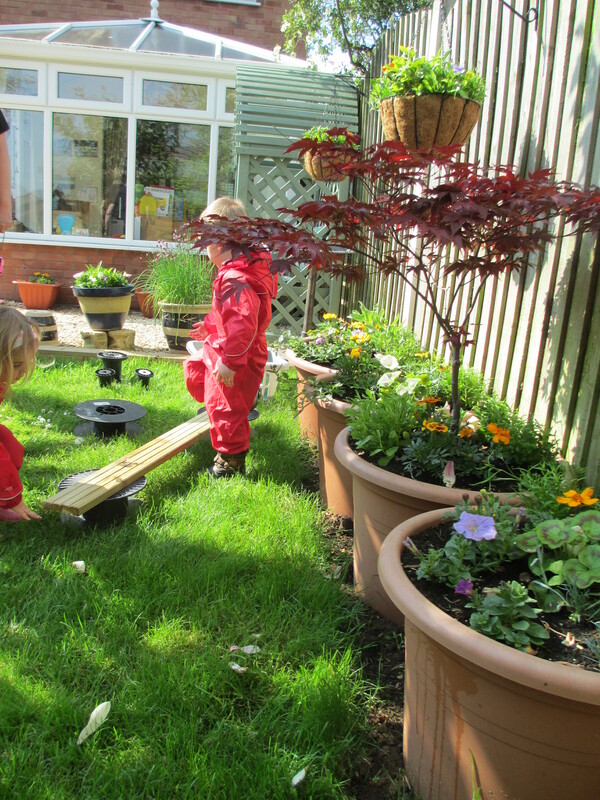 So by 9:50 Penny, Carol and 6 under fives were all in Penny’s garden enjoying the sun. The children were in the splashsuits as the grass was wet, the bark round the climbing frame was wet, and there was water on the patio where Penny had uncovered the sand pit. 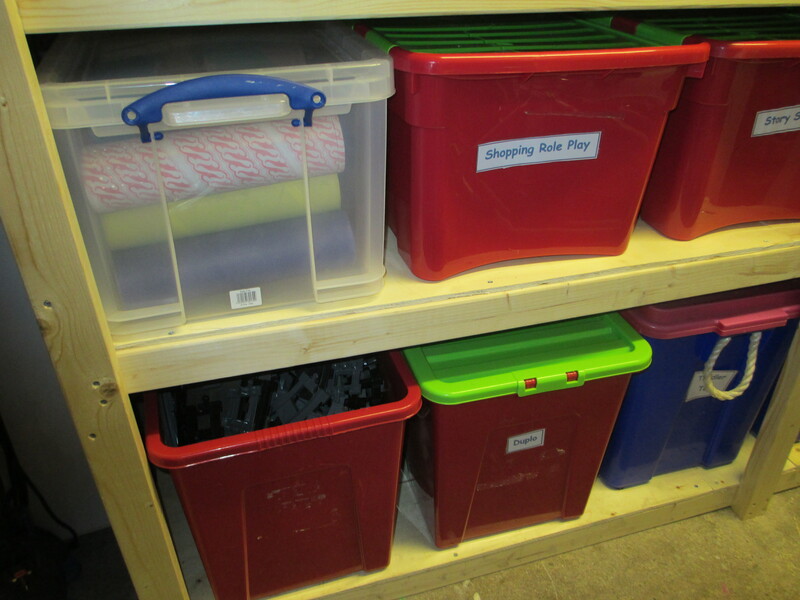 As well as the continuous provision in the garden of climbing frame, sandpit and chalkboard, Penny had put out the weaving frame and a basket of things to weave with, a large basket of assorted sized reels, and the wooden planks. 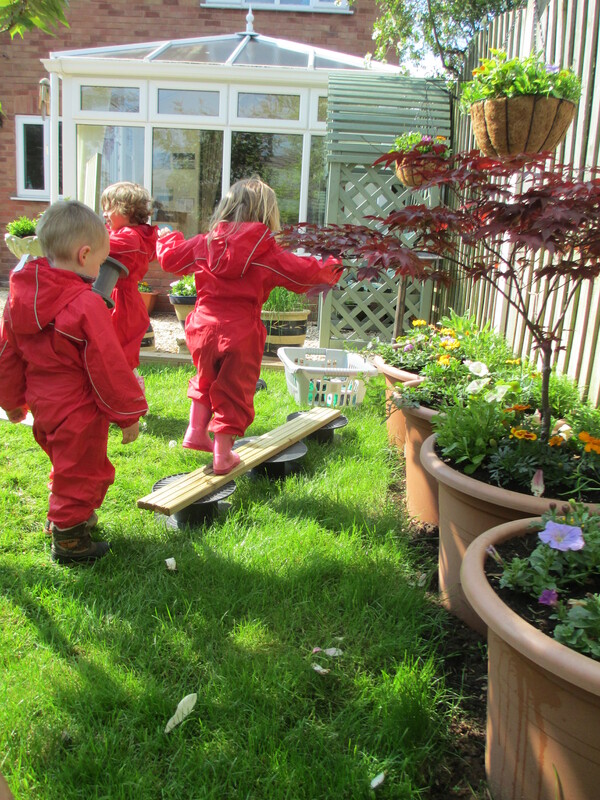 The children were very excited to see the planks as they were new – and the immediately picked then up and carried them over their head – brilliant for muscle building and balance – but not so good for any friends who happen to be in the way as the planks were twisted and turned! So a ‘lesson’ in how to carry the planks sensibility and the need to think about what you are doing with the plank. 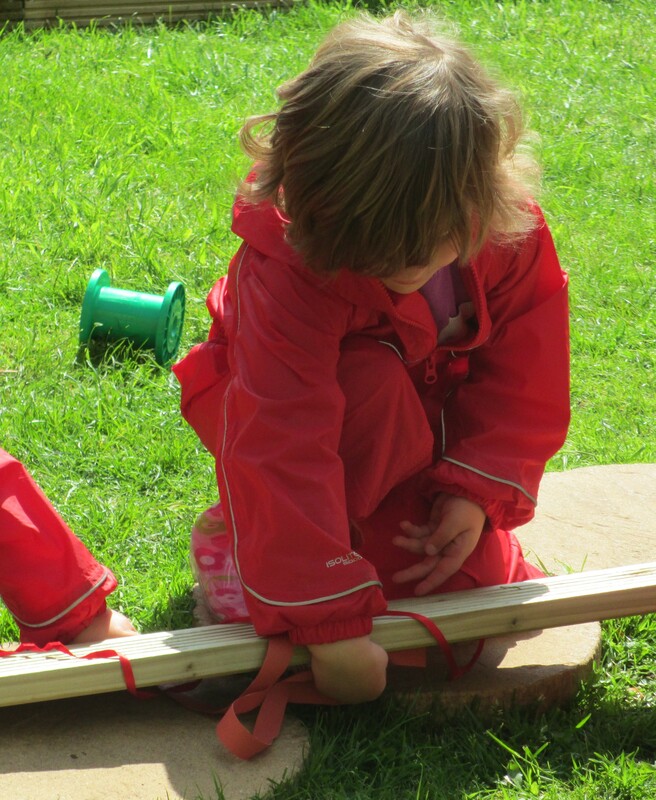 So the children did – and put the planks on the grass and walked along them. Before long the had worked out how to balance the planks across the reals. 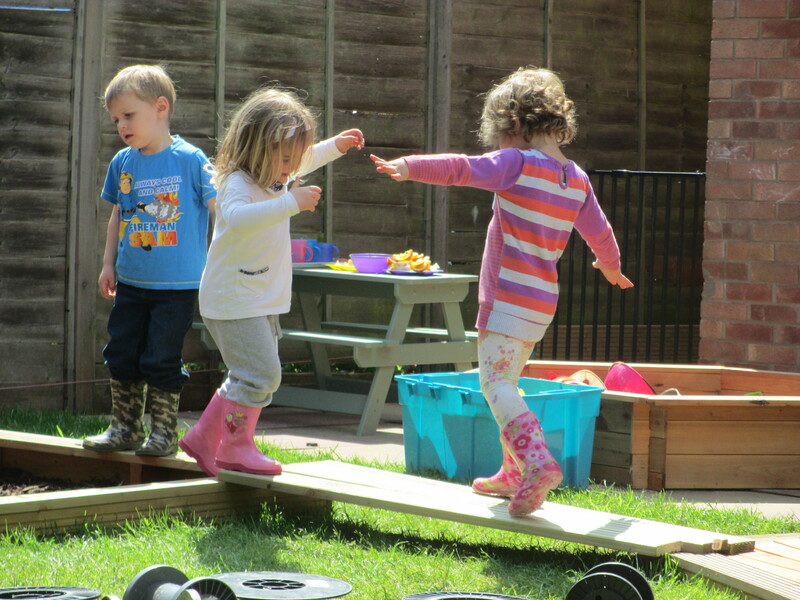 Then they wrap the treading things round the planks – Chinzia asked Erin for help – Erin didn’t help her but Archie did – working together to wrap threading things round the plank. They made a ramp between the gravel area and the bark area surround- and tried various different number of planks, angles of the ramp – some safe – some not. They thought about what to do if their ramp wobbled, – move some planks, What to do if the pile of ramps a bit high – Chinzia stood at the end and held each persons hand as the jumped off the end. They worked together as a team, sharing their thoughts and ideas – but at other times they worked alone, they solved their problems – and created different ones. They disagreed at times, supported each other emotionally at other times. They accidentally hurt each other and themselves as they developed their risk assessment skills. 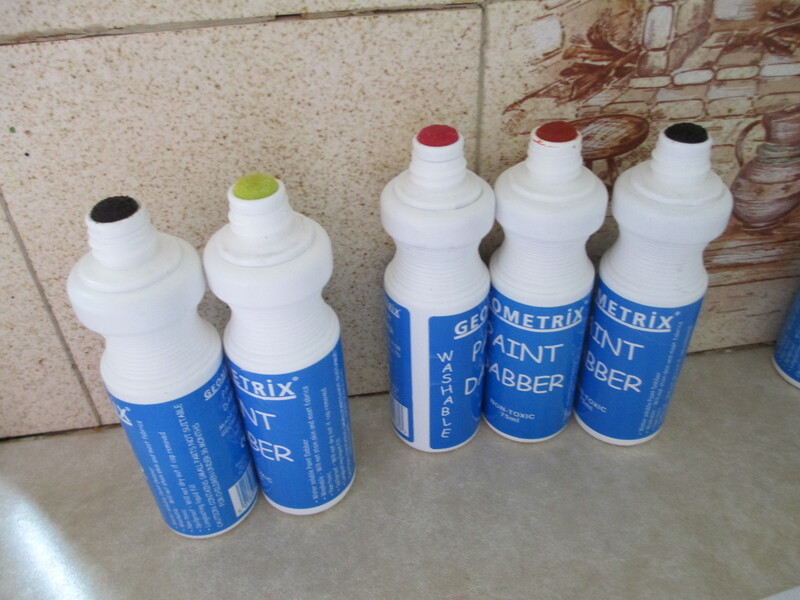 Of course a bargain at £2 for a set of 6 bottles of washable paint – ok there were 2 brown ones in each pack (Penny of course brought 2 packs) but that does not matter. 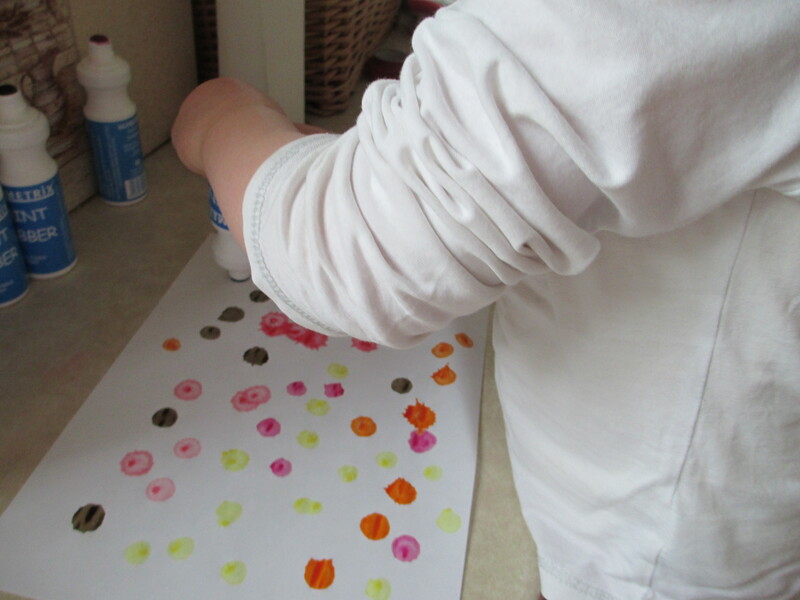 Then one child noticed that sometimes the dots of paint spread out a bit and looked like raindrops – so of course the children then experimented to see how to make raindrops on purpose. 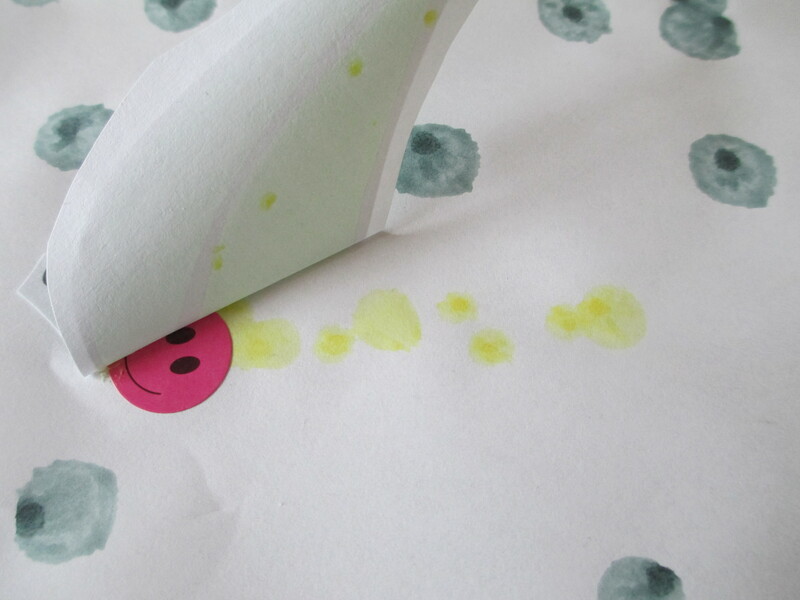 Turns out, you hold the container a little higher over the paper then do your dot – very effective. 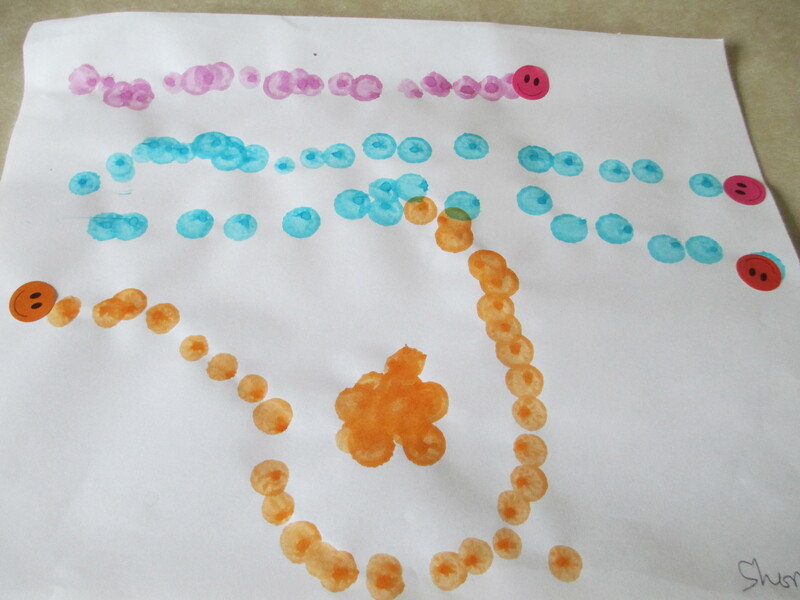 The children then did lots of pictures – and even Penny did one – and enjoyed it. Roll onto Wednesday morning and – yes raining again. Chinzia and Erin were already playing when Alex and Shona arrived. Discussion about the rain and needing coats and wellies/ boots. A bit of further discussion – then it was time for Lorna to go to work and for Penny to finished breakfasts for those that wanted breakfast and so the discussion cam to an end. 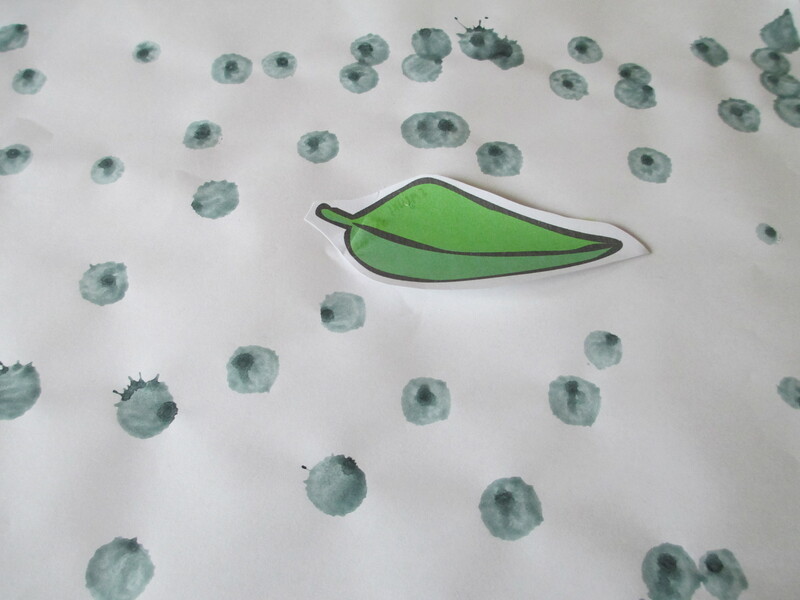 But in Penny’s head the ‘thinking’ was still going on – Penny had a visual image of some printed leaves that were already cut out – and left over from another hungry caterpillar activity, and was designing a activity in her head as she got on with breakfasts. 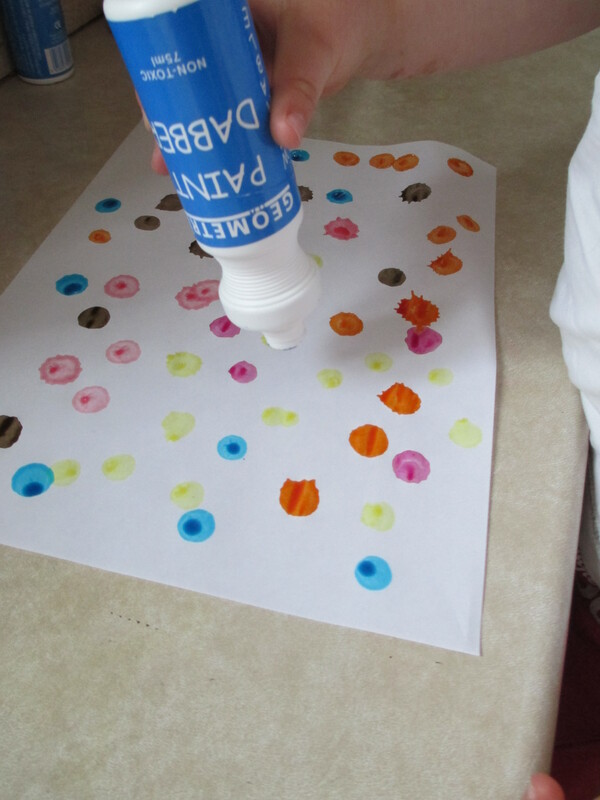 Later on – Penny asked the children if they wanted to use the paint dabbers again – they did. 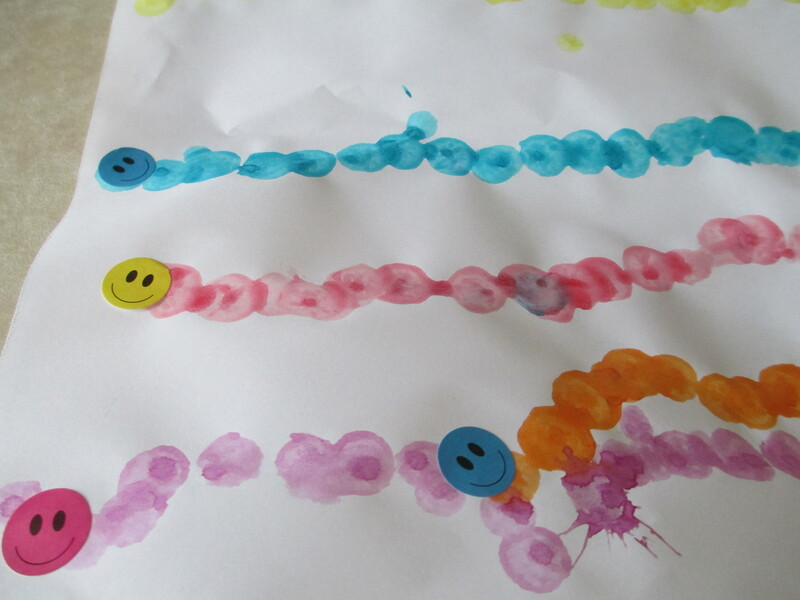 So Penny suggested they might like to paint a small caterpillar, and hide it under a leaf to keep dry from the rain. @educationgovuk When are the government going to provide the details to the proposals in MGC, especially about childminder agencies? Now I am grateful that the DfE took the time to respond to my tweet – and realise that the person replying may not know who I am, or know anything about One Voice but even so the question was not answered – not even an approximate date. So I thought I would tell a little story for the benefit of the DfE and anyone else who does not understand that in most things in life – you have to do a little preparation – you have to state in your head or publicly your intentions should the thing you are waiting for becomes a reality. 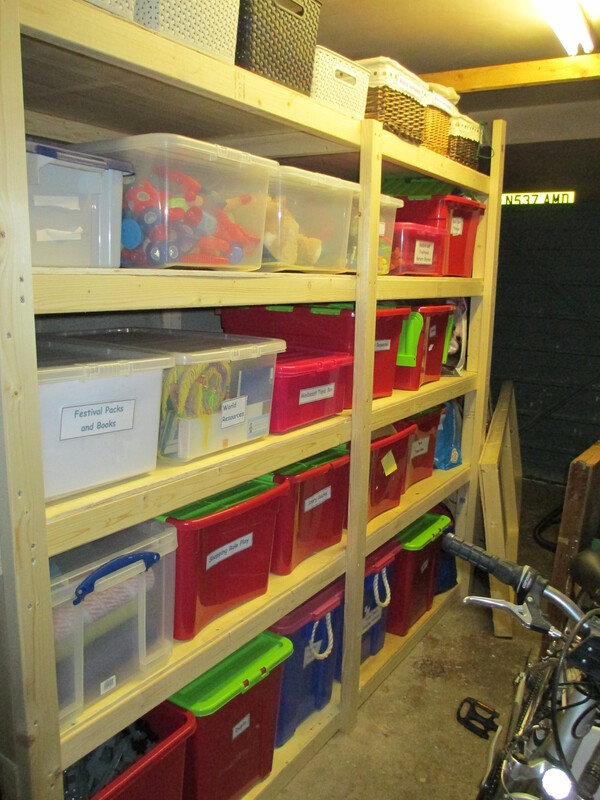 Although I knew that I could not operate as a childminder until it was legal to do so and I had my Ofsted registration certificate on the wall – this did not stop me doing a lot of preparation before that day arrived. I decided that I needed to spread the word about my POTENTIAL childminding service – and so set up a website, making it clear that I was not yet registered and so the information was just to inform people of my intentions. A lot of thought, a lot of research, a lot of work and sharing of information – all for something which may not have become a reality. Of course as it turns out – I was re registered and went on to have my graded inspection a few months later – however things had changed, policies and procedures had already been updated and changed to meet my actual needs rather than my educated guess based ideas. My fees had already been reviewed and changed. What I am saying of course is that in order to set up, register and operate as a childminder, I had to provide initial information- state my intentions. This did not mean that I could not reflect upon or review my stated intentions – far from it – nothing was set in stone and unable to be changed, but people reading the information that I provided had a good idea about my ethos, what my practice would be like, how much my fees were likely to be, the hours that I would open and so much more. 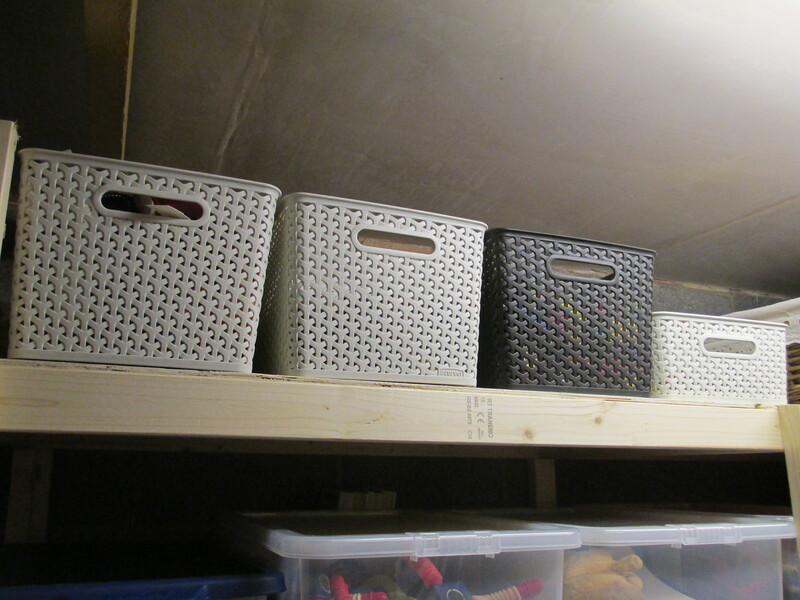 So government – with childminder agencies – I understand that the law needs to be changed, I understand that you can not state how things will actually be until the law is changed ……..BUT ……………. I do not understand why you can not set out your intentions – what you hope will be implemented, what the approximate costs will be both to be part of an agency and to stay independently registered and inspected, how you see agencies and hubs working side by side, the role you see for membership organisations, the role you expect childminders to fulfill, how all the different aspects will join together and work together for the benefit of parents, children and childminders. At least if everyone knew your intentions, knew what you are thinking will unfold, everyone will be able to engage in professional debate, decide on the their own futures and make their own plans ready for day when the governments actual intentions are made known. I know that there will be proposals already on paper, I know that meetings are already taking place with those interested in running agencies, I know that the government has a ‘grand plan’ for the future of early years settings and for childcare and education – so please share it with those that these plans, these intentions are going to impact on – and stop drip feeding snippets of information, that confuse, worry , lead to rumours and a great deal of distress, and do not appear to be part of any ‘joined up’ thinking. I have mentioned / commented on the possible Ofsted fee for childminders who want to remain independently registered with Ofsted. I have commented on the fact that the DfE / Ofsted have not published this information yet – or even given a ball park figure. Well, today I have received information from a reliable source that my worse fears may well be right – and that if childminders want to remain independently registered with Ofsted (rather than join one of the proposed childminder agencies) then they will have to pay the full cost of that inspection – and the figure quoted is …….. about £700 per inspection. Whilst I hope that this figure is not the fee that will be charged, I will not be surprised if it is correct – nor would I be surprised if it is a ‘leaked’ figure designed to scare in the hope that people start to express an interest in agencies ahead of the publication of the actual fee – so that the government can say that there is interest in agencies, and continue to push ahead with agencies. If the figure is correct – it does of course open up a ‘can of worms’ and a whole load more questions. Will other settings have to pay the full cost of inspection? So even in the most expensive example – unless inspections are 4 or more years apart, less than £700 is paid to Ofsted between inspections – and I would think that the actual cost of inspecting a bigger setting – where 2 inspectors are present and / or inspection take more than one day – will be more than £700? One thing that the rumour that I have heard did not clarify is – is this figure of £700 to be charge for every actual inspection or to be collected via an annual fee that adds up to £700 – so a annual fee of about £230?? – and when will we know if increased inspection fees are on the cards for all early years settings rather than just those childminders who want to remain independently registered and inspected by Ofsted? And for me – as a childminder – I have to ask why are the government so ‘anti childminders’ when their own figures say other types of early years settings do not cover the true cost of inspection – and that a % of other early years settings are graded less than good and therefore needing support. In my opinion, it seems to me that the government – despite their statements about valuing childminders and wanting to increase the number of childminders – actually don’t want independently registered and inspected childminders – they want ‘add ons’ to nurseries, children’s centers, schools and so on – so that a) wrap around care is provided and b) the governments idea that formal learning is better, is pushed forward and c) that direct guidance on what to do or not do, can be not onlybe provided but insisted on. Which maybe judgmental, may be harsh, may be spreading rumour when facts are not known – but I blame the government for not providing the detail and not answering the very many questions asked by myself and thousands of other childminders. May be if the government started responding, started providing detail – there will be lass spreading of rumours , less trying to guess what is behind the governments headline statements – and more opportunity for professional engagement with the government, and professional personal decision making , based on facts, about the whole More Great Childcare proposals. Where a Freedom of Information request has resulted in the release of the governments reasoning for increasing ratios and how it will lead to higher pay for early years practitioners, lower childcare fees for parents and higher qualifications for staff. I acknowledge that I do not run a nursery, that I do not have a degree in Maths – and that I am writing this in the very short period of time when the children in my care are having their nap. So this is just a quick snapshot of my initial thoughts – I am sure that someone will come along who has more time, more knowledge and a calculator to hand. Do any childcare businesses base their financial figures on 100% occupancy? I would be surprised if they do because everyone in the childcare sector knows there are times when 75% occupancy is hard to achieve. Also due to the part time hours that many parents require even if a full quota of children are on the books there will still be times when there is a gap in hours of children using the same place. There will be times when parents cut hours for various reasons, there will times when parents lose their jobs or move or are on maternity leave. There will be times when lots of children leave at the same time to go to school or to go to the maintained nursery for their FE hours. Yes, a lot of the children are 3 and 4 year olds – and almost all of them are in receipt of the FE funding – so for those hours the fee to parents is not set by the childcare provider but by the government. Therefore you can not just multiply number hours by hourly fee. Is the government suggesting that early years settings let their loyal staff with out degrees go – so they can replace them with graduates? (the example suggest that, as the staff not currently degree level). If not who is going to pay for the staff to gain these qualifications, to pay for staff cover etc – while still not able to operate at higher ratios as staff yet to complete their degree. What if one of the degree qualified staff goes off sick – what will happen to the ratio’s then – will it possible or financially feasible to hire temporary degree level cover? I see that national insurance and pension mentioned as a cost – but does this figure also include holiday pay, and more importantly sick pay (as I think staff will go off sick more frequently with stress, with back injuries and so on). If the ‘admin’ person is covering for sick leave – what happens if need more than one person to cover on some occasions – if long term who is actually doing the admin? Who is preparing meals, cleaning and so on – because IF 100% occupancy achieved the staff working with the children won’t be able to do this task – because of the ratio requirements? Who is attending the ‘team around’ child meetings – and any other meetings – which are bound to increase in number due to the increased number of funded two year olds? How are staff going to access week day training events if at 100% occupancy – additional staff – maybe agency or bank staff who cost more per hour might need to be employed. Would a decrease of around 50p an hour really make a difference to those families who receive tax credits, as if getting say 50% help with fees that is only a saving of 25p per hour, and if getting 70% a saving of only 15p an hour. And for those in receipt of 15 hours funding it is not a full week of hourly savings that will be made. Oh – and do the government think all nurseries have 60% staff costs, 14% non staff costs – AND therefore 26% profit???? How does this all relate to childminders or pack away groups that may operate morning / afternoon sessions rather than full daycare? I read this article http://www.cypnow.co.uk/cyp/news/1077207/4children-unveils-plans-community-childcare-hubs about the government funding to 4children to set up community childcare hubs when it came out on 14th May, and was confused. My confusion stems from the fact that these community childcare hubs seem to have many of the aims of the proposed childminder agencies – and yet while childminder agencies are reportedly to be self financing with no government funding at all, 4children have been given £750,000 of funding over 2 years to develop the hub model in several pilot areas. The article explains that the idea behind hubs is different to the idea behind childminder agencies – and indeed it is , BUT there are areas of overlap, and it is these overlaps in the aims that is going to add yet another layer of choice and even more confusion for childminders and parents. 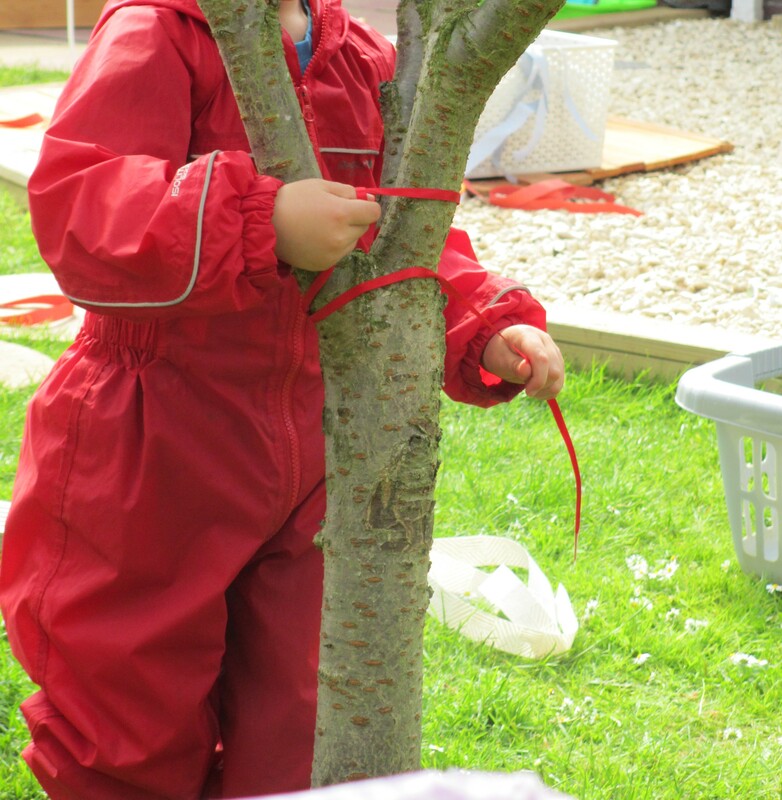 While the places chosen for the pilot hubs are according to the Nursery World article; an academy with a private provider; a free school with a voluntary provider; a private provider; a children’s centre; and a nursery class and Reception class. 4Children have stressed that providers will have to want to be part of the hubs, but childminders will have to also want to be part of agencies – so another similarity. The aim of hubs will be to put structures and processes in place to develop a financially sustainable childcare offer, with different providers working together, but so will agencies as it is mentioned that childminders might provide wrap around care to the nursery, school or children centre that is running the agency. Both agencies and hubs will support parents to find childcare that meets their needs. So another similarity. Hubs will have a leader (in the pilots employed by 4 Children), each agency will have a leader employed by whoever is running the agency. So another similarity. 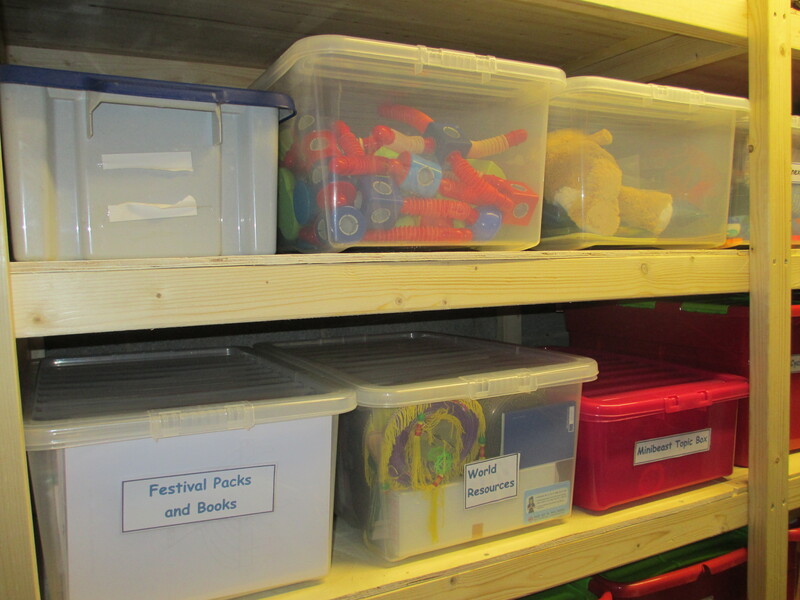 Agencies will support the childminders with sharing good practice and training – as will the hubs . So another similarity. Of course there are many differences – mainly that agencies will be just for childminders to join (based on information supplied so far) and agencies will be able to register and inspect childminders, where as (again on information supplied so far) hubs won’t. It is not clear if funding will be available for hubs after the piloting period though 4Children, nor is it clear if agencies will use the hub model being piloted in future, if it proves to be successful, or if agencies will be ‘superseded’ by hubs or vice versa . However what is very clear is that childminders will have to make decisions about if they want to join an agency, if they want to remain independently registered and inspected by Ofsted – and if they do remain independent if they want to be part of a hub. Mind you it is not yet been said if an agency childminder with an ‘outstanding’ agency based grade (therefore the agency grade not their own individual grade) will be able to be part of a hub as well as an agency. More detail on this clearly needed. For parents the choice of where to go to for help and support in finding childcare is going to be in plentiful supply but I think very confusing and difficult to work out the best option for them. – Why have the government not either provided pilot funding for agencies or not provided pilot funding for hubs – as this seems to be unfair and gives hubs an edge as their start up costs are covered where as agencies have to self fund – and pass those costs o to their future childminder / parents clients. I am also confused with the time scales – the pilot hubs are to start end of May13 and run for 2 years, whereas the childminder agencies pilots are to start in Sept 13, be evaluated in Spring 14 and (if successful) rolled out from Sept 14 – so how does this all fit together? And are not hubs very similar in some aspects to the NDNA pilots as below? So yet more choice, yet more confusion – yet more unfair funding for pilots of very similar ideas. There are other issues connected to the recently announced government funding that I think causes confusion and is not very ‘joined up’ thinking – and I shall focus on this in a future blog.